Esplanade on Palmer Ranch is the flagship to the resort-inspired communities that national homebuilder Taylor Morrison has been developing in South County. 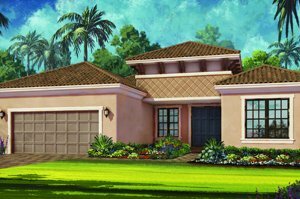 This community started taking shape in early 2017 in a 227-acre site west of Honore Avenue, thus further enriching the choices of Sarasota homes for sale in this area. The Scottsdale, Arizona-based Taylor Morrison platted this property for about 500 single family homes and masterfully set within it the various facilities emblematic of its signature Esplanade brand for active lifestyle communities. 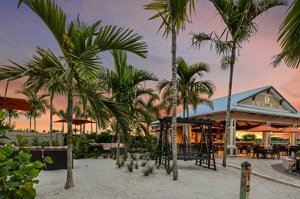 Like its peers in other Taylor Morrison markets, Esplanade on Palmer Ranch flaunts a well-planned amenity center as one of its major selling proposition to aspiring buyers of Sarasota homes for sale. This elegant hub for community activities aims to please with its wellness services, lounge areas, activity rooms and fitness center. The amenity center’s outdoor facilities are as tempting to would-be buyers of homes for sale in Esplanade on Palmer Ranch. These additional perks to live in this community include a resort-style pool and hot tub, Bahama bar, courts for tennis, pickle ball and bocce ball, a fire pit, events lawn and a dog park. A lifestyle manager oversees all these trappings of a private resort right within the neighborhood. This full-time professional is available onsite not only to coordinate the community’s social activities and special events but also to organize outings to local attractions of which there are many. One is the 10-mile plus Legacy Trail adjacent west of the community and linked to the community via a pathway along a natural creek. This trail extends south to Venice and is ideal for biking and running. Plans are underway to extend this carless pathway farther north from Palmer Ranch to downtown Sarasota. Likewise nearby is the 1,382-acre Oscar Scherer State Park just south of Esplanade on Palmer Ranch homes for sale. Besides its forest preserves and quaint wildlife habitat, this park features nature trails, canoe/kayak launch and a picnic area. The park’s natural beauty spills within the Esplanade on Palmer Ranch, as Taylor Morrison designed a lush landscaping for the community. Providing a backdrop for its Palmer Ranch homes for sale are grand oak trees, several lakes and two large wetland preserves. The homebuilder is offering nine home model choices in this community. Pricing of these residences are listed in the $300s up to the $500s. Their floor areas range from 1,689 up to 3,006 square feet designed with two to three bedrooms. Three of Taylor Morrison’s home choices at Esplanade on Palmer Ranch have already been showcased in the 2017 Parade of Homes. One of these, the three-bedroom Bella Casa, was cited for the Best Curb Appeal in its category. Aside from their superb features, the homes for sale in Esplanade on Palmer Ranch are convenient to Clark Road and Interstate 75. Given their strategic location, the residences at Esplanade on Palmer Ranch enjoy easy access to local schools, shopping and dining venues, health care facilities as well as the fabled beaches of Siesta Key. 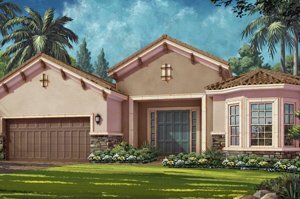 Below are the current real estate listings available at Esplanade on Palmer Ranch.